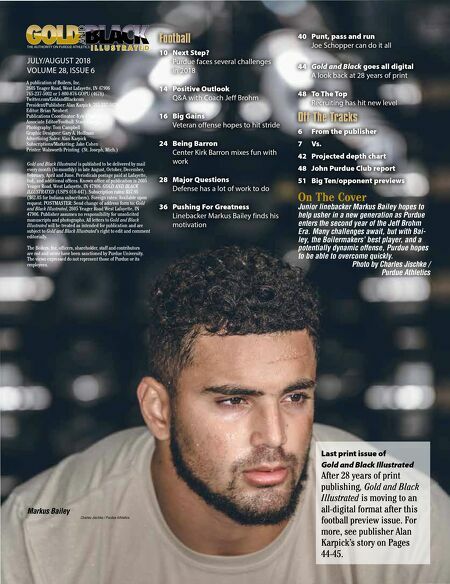 PURDUEFED.COM/VISA Fixed Rate | No Annual Fee | Unlimited Cash Back Official Credit Card for Purdue Fans *Subject to credit approval. Visa Signature: 0% Introductory Annual Percentage Rate for 12 months, after that 11.5%-17.5% fixed APR based on creditworthiness. Visa Traditional Rewards: 1.9% Introductory Annual Percentage Rate for 12 months, after that 11.5%-17.5% fixed APR based on creditworthiness. No Annual Fee. No Transaction Fees on balance transfers and cash advances. 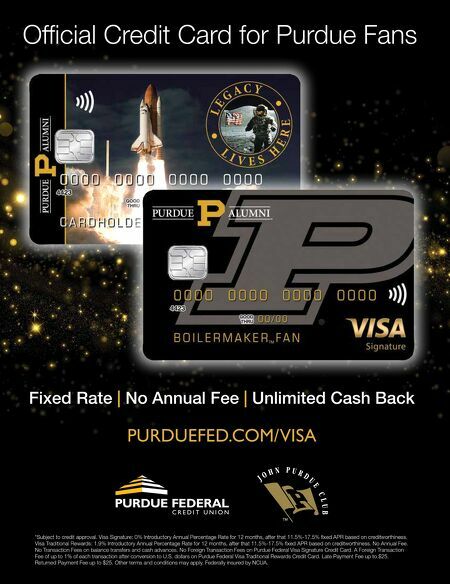 No Foreign Transaction Fees on Purdue Federal Visa Signature Credit Card. A Foreign Transaction Fee of up to 1% of each transaction after conversion to U.S. dollars on Purdue Federal Visa Traditional Rewards Credit Card. Late Payment Fee up to $25. Returned Payment Fee up to $25. Other terms and conditions may apply. Federally insured by NCUA.